A new version of the LIFE search engine has been released. LIFE makes it possible to search across data generated at the LINCS project. 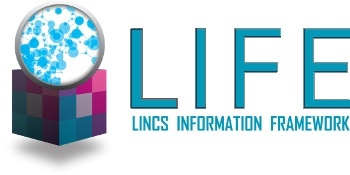 This new release includes recent data releases from the LINCS Consortium. It has improved search functionality and several new data visualization features. LIFE is developed at the University of Miami LINCS Center under leadership of CCS Drug Discovery Program Director Dr. Stephan Schürer. More information is available at LIFE (Library of Integrated Network-Based Cellular Signatures). This project is funded by the NIH (National Institutes of Health).